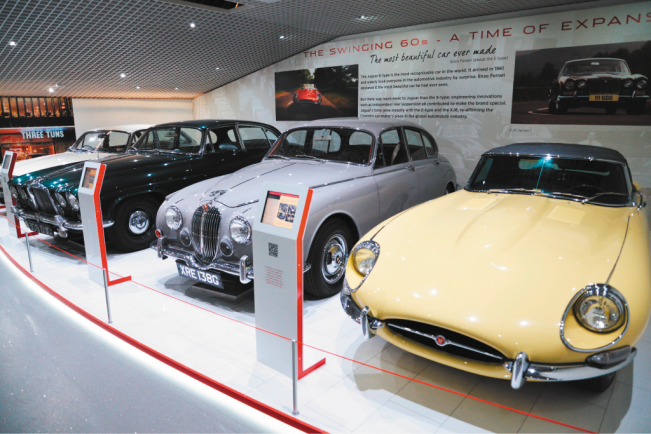 COVENTRY Transport Museum will fully re-open following its extensive £9.5 million redevelopment on Saturday (June 20). The museum has been completely transformed and provides a world-class showcase for Coventry’s rich transport heritage – from the 19th century to the present day. Following its 15 month-long redevelopment programme, Coventry Transport Museum offers a whole day of fun and discovery for visitors of all ages in an iconic city-centre building. Through its re-energised exhibitions, visitors are taken on a journey through Coventry’s vast transport history; from being a bicycle capital of the world in the 19th century to producing vehicles for the war efforts, to contributing to the UK’s car-making and exporting success, and everything in-between. Visitors are met with hundreds of unique exhibits, delivering a world-class experience throughout. The car collection includes the world’s fastest cars ThrustSSC and Thrust2, the oldest Coventry-built car, more than 3,000 toy car models – including Dinky, Matchbox and Corgi, and many of the most innovative, memorable and luxurious road vehicles of the last 150 years – all built in Coventry. Cars are only a part of Coventry’s transport journey – the museum focuses on the innovators and the workers who made that growth possible. From the cycle pioneers of the 19th century who revolutionized transport for the masses, to the men and women who created the transport, munitions and equipment for the world wars – and looking into the future, with innovators in technology who will shape the automotive future of Coventry and beyond. To celebrate the re-launch, Coventry Transport Museum is inviting automotive fans of all ages to gather in Millennium Place outside the museum on Saturday 20 June 2015 at a free-to-view event starting at 1pm. As part of the event, joined by supercar stuntman Terry Grant, who is famous for holding over 20 stunt-related World Records, petrolhead duo and presenters Harry Metcalfe and Amanda Stretton will showcase a special Trailblazing Cars of the World tribute; including a Ferrari F40, Porsche 911, Jaguar C-type, original Range Rover and many more. Culture Coventry chief executive Gary Hall says: “Re-launching the museum is the culmination of seven years of hard work by the team. It marks yet another landmark for Coventry’s transport heritage, but also preserves its rich history. The museum provides a haven for visitors to immerse themselves in the past, present and future of Coventry’s transport legacy – capturing the imagination of visitors of all ages. We are extremely grateful to the European Regional Development Fund, the Heritage Lottery Fund and all of the other organisations who have supported this project throughout. On Saturday (June 20) the museum will open at 1pm instead of the usual 10am, to allow final preparations to be made for the launch event.